There are a lot of bands out there looking for their big break. A lot of them are just as good- if not better- than a lot of big names out there. In the punk area of rock and roll, there’s a plethora of bands trying to get their break so you really have to choose your new bands wisely. 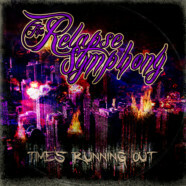 The Relapse Symphony, fresh off their latest record, Time’s Running Out, are one of those bands who have all the makings of a band who could easily get their break soon if the right people get their hands on Time’s Running Out. This one screams Green Day meets Blink 182 with a little bit of My Chemical Romance (the early stuff- not that late crap) sprinkled in. This is the perfect record for a road trip- even though it’s only five songs- it’s a record you’ll put on, get into right away and want to hear again and again.